PLAY SCULPT LIVE: Ironcraft gets organized! My, these challenges sure come up fast! Or it might be that I usually wait until the last minute. No matter, I made it! This second challenge for 2014 is about getting organized, making something that will help me organize myself. To be fully organized would be many challenges combined so I chose to explore my need to recycle and re-purpose and organizing myself while I do that. I have to admit that this one is inspired by the Elizabeth Cline book, Overdressed. She does a short study on where our clothes is coming from and what that entails for us as consumers, as costumers and as human beings living on this planet. In short, our clothes comes from China, we have very little control over what they look like or how they are made and it is polluting the planet in so many ways. My response to this dilemma is to sew! My very small drop in this huge pond is to re-purpose an old pair of my daughter's jeans into a needle case. I need a place to put my needles that I can carry with me without losing them or worrying about hurting myself with the pins. I cut the rear pocket side of the jeans to make the covering. Then using scrap fabric in coordinating colors I sewn a couple of small pockets on the inside fabric and then sewed the both together. 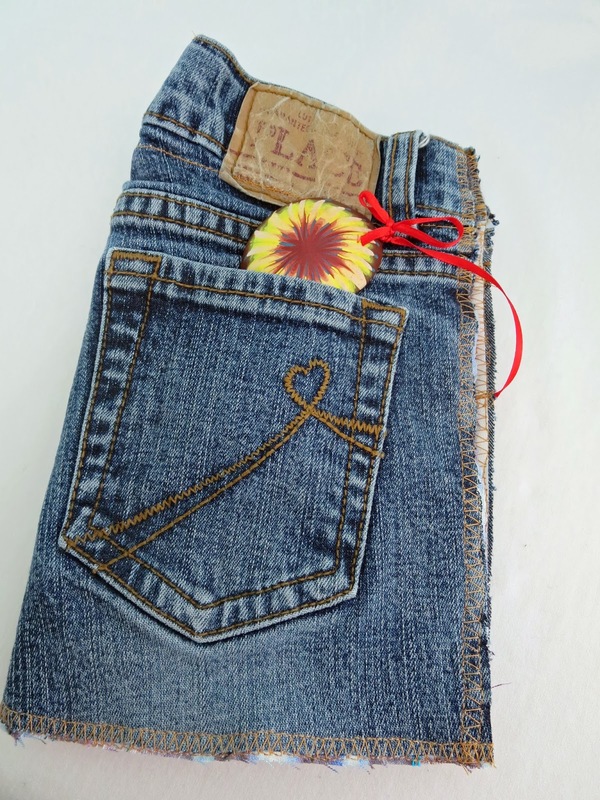 Using that yellow-gold thread of jeans, I sewn the side up using a zigzag stitch and voila! It looks like it always had that purpose! I added a thin red ribbon on the side to hold one of my polymer clay bead and use it as a closure. The needles on the inside are pinned to a light blue felt so they stay put. I know I will use this for a long time to come and that I have saved at least one pair of jeans from the landfill. I am guilty of over consuming the cheap fashion Ms. Cline discusses in her book and have always donated back the clothes so someone else can use them. In the end though, it all ends up in a landfill somewhere. 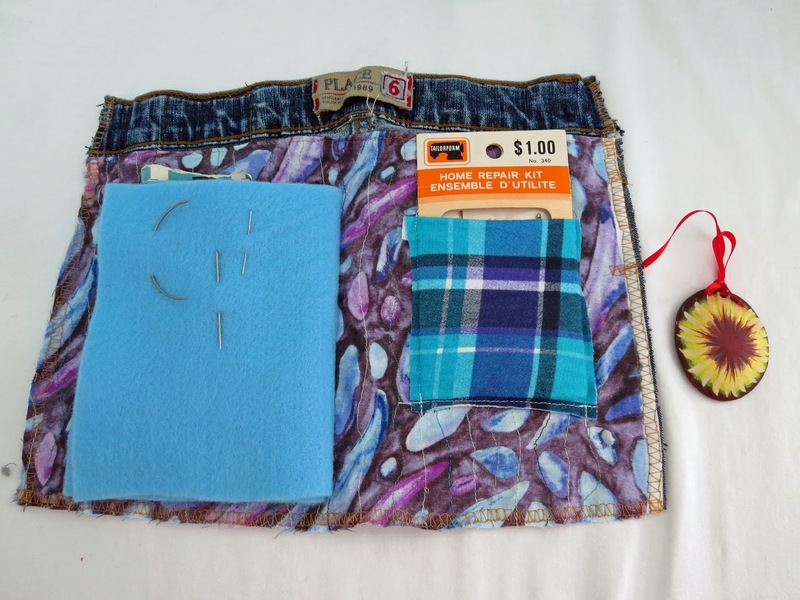 I will use the rest of the pair of jeans on other projects, maybe even for some other Ironcraft Challenge. At least this one will get many more lives before it's all said and done. I so rarely throw clothes away these days unless they are too ruined, we end up donating them. Yes, I donate lots of them. Sometimes thought the fabric inspires me and I turn into something else. Looks great!! Love the upcycle!